The 2014 Winter Olympics in Sochi, Russia is in full effect. After four years of preparation, the athlete&apos;s are ready to rage the world&apos;s biggest stage to showcase their talents. The preparation not only applies to athletes, but also to companies looking to outfit Olympians with the most technologically advanced equipment, and sometimes questionable fashion apparel. A common trend from big box retailers and developers such as Nike, and Under Armour, is the inclusion of multiple technologies packed into one piece of performance gear or apparel. 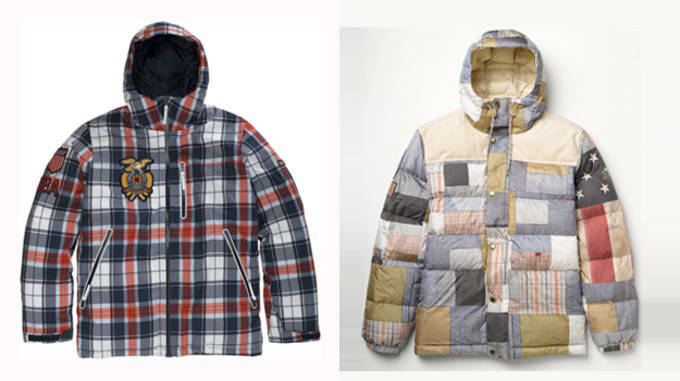 In year&apos;s past, there seemed to be a more conscious effort on fashion rather then functionality, but as we&apos;ve seen with the gear for Sochi 2014, there seems to be a happy medium that was reached. With the game&apos;s upon us, here&apos;s some looks at how apparel and performance gear has changed and advanced in just four short years from Vancouver 2010 to Sochi 2014. Nike S.F.B Heaters vs. Nike LunarTerra Arktos Boot "Sochi"
Vancouver 2010: The Nike S.F.B Heaters were designed specifically for the 2010 Vancouver Olympics experience. Featuring a lightweight design, the S.F.B Heater&apos;s were ideal for fans and athletes alike when taking the sights of the Olympic Village. Comfort was key here, as Nike stepped up their innovation by adding a heater to warm up spectators toes while watching competition. Ran off a rechargeable battery, the S.F.B Heaters lasted up to five hours on a single charge and to throw a little Olympic flare to the mix, the boot featured a tiny Canadian maple leaf that would light up when the heater was on. 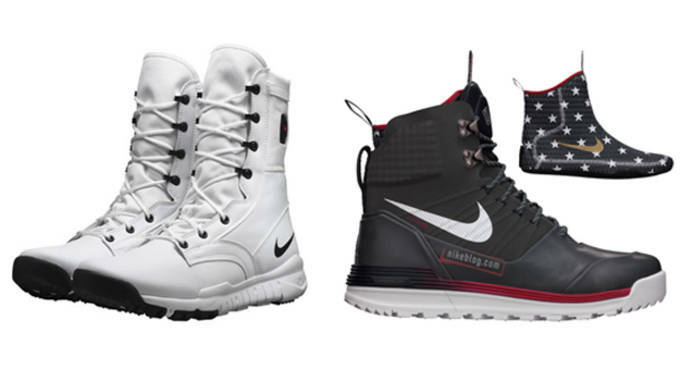 Sochi 2014: The Nike LunarTerra Arktos Boot combine all Nike&apos;s latest technologies in one, with the comfort of a sneaker and durability of a winter boot. Featuring Flywire and Hyperfuse technology for a customized fit, as well as a Lunarlon sole for superior comfort, the LunarTerra Arktos Boot has all the bells and whistles fitting of Olympic action. As Nike does, they threw their own unique spin to this specially designed boot for Sochi by adding stars and a gold swoosh on the inner booty to give it a true patriotic feel. Vancouver 2010: Back in 2010, Nike was still in it&apos;s infancy when it came to designing snowboard boots. Featuring a space traveler theme, the Nike ZF-1 DKYS, was designed using the popular Zoom Force 1 silhouette and gave praise to the USA and host nation Canada by including their respective flags on the tounge of each boot. The boot was the signature model for previous Olympian medalist, Danny Kass, but he failed to reach the podium in Vancouver, possibly because he couldn&apos;t spot his landing from the glare coming off the boot. Sochi 2014: Nike Snowboarding&apos;s latest and greatest, the LunarENDOR QS will surely turn heads in Sochi this winter. Nike added every technology into this boot including a Lunarlon foam sole for cushioned landings, and a Flywire lacing system for added comfort and fit. 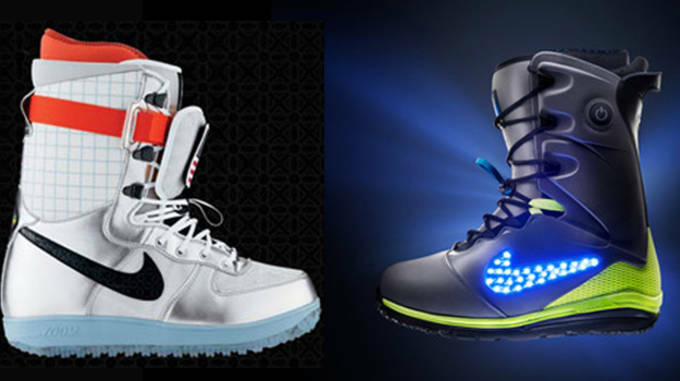 The boot is as functional as it is stylish, as Nike included a 30 LED light panel into the swoosh logo that can be illuminated by the click of a button, located atop the boot cuff. A fusion of innovation and style makes whoever wearing the LunarENDOR a favorite to take home gold and look great doing so. 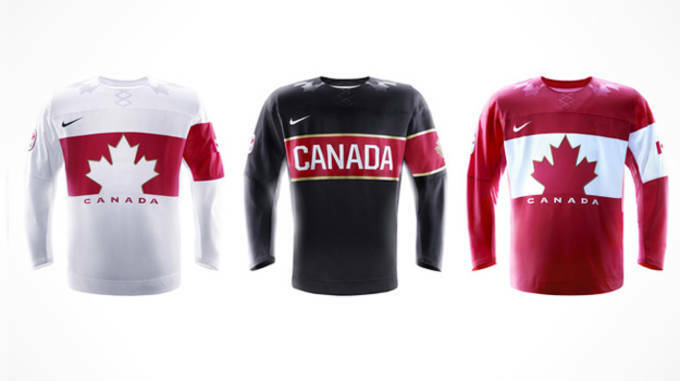 Vancouver 2010: Nike provided the 2010 Canadian Hockey Team with a simple jersey in 2010 and let their play do the talking for them. The Canadian team beat the U.S in overtime of the 2010 Olympic Hockey finals by a score of 3-2. Cant&apos; go wrong with all red jersey featuring the Canadian maple leaf and white accents throughout. 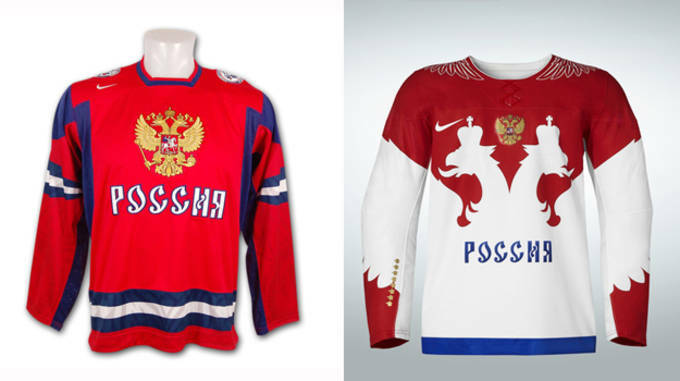 Sochi 2014: Nike paired up with the reining champs again to bring them a far technically advanced jersey then what they were used to. Hockey jerseys generally are oversized and feature mainly non breathable materials. Nike flipped the script by using recycled fabrics and specialized ventilation areas to make this years jersey 15% lighter then those of 2010. 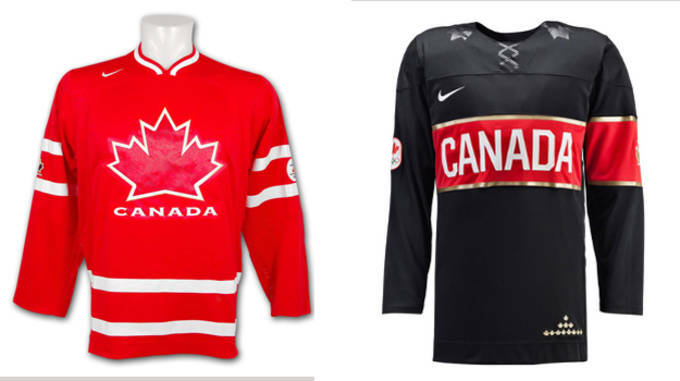 Canada now has three color options as well, white, black and red, as they prepare for Olympic competition beginning February 8. Vancouver 2010: Heartbreak ensued in these jerseys for the 2010 USA Olympic Team as the lost in overtime to the favorited Canadian Team. The 2010 jersey looked great, with U.S touches throughout including stars and stripes, the date the Declaration of Independence was signed, an olive branch, and other tiny moments representing American culture and history. The jersey&apos;s focused more on style then functionality, and that might of weighed them down in the final moments of the 2010 finals. 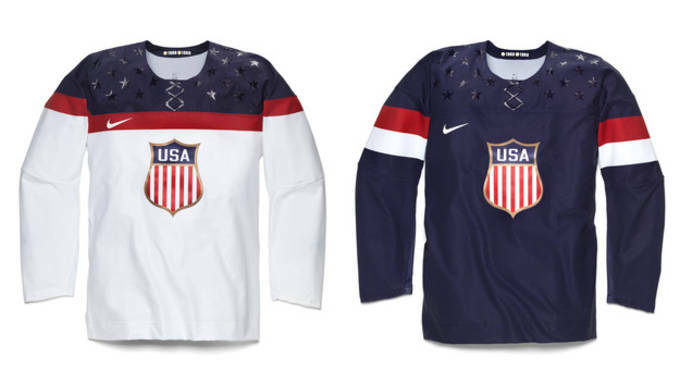 Sochi 2014: The 2014 USA jerseys pay homage to the rich USA Hockey history and tradition, while adding in modern day technological advances. Nike simplified their design and focused on performance to create a lightweight jersey that maximized range of motion. Nike Flywire was added around the neck to decrease slipping and the lightweight numbers and emblems decrease weight and drag. Hopefully this will be the year U.S takes home the gold as these jerseys are certainly up for the task. Vancouver 2010: The Russian Hockey team had a rough 2010 run in Vancouver as they finish 6th overall. They sure looked good sucking it up out there though. The all red jersey stands out in a crowd, and the gold country logo with blue accents balances out the whole look. 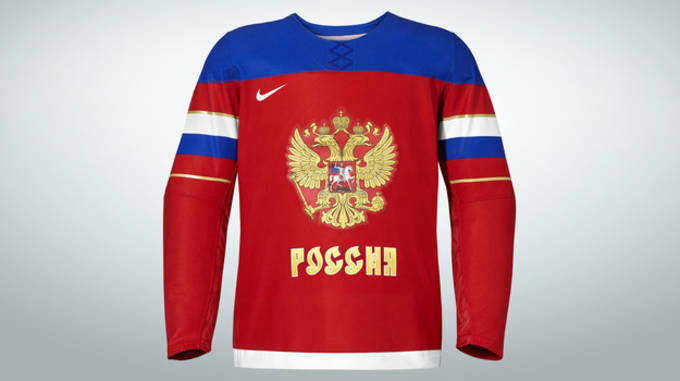 Sochi 2014: Nike gave Russia the treatment a host nation deserves with their 2014 Hockey jerseys. Currently ranked third by the International Ice Hockey Federation, the Russian team is looking to bounce back from a rough 2010 bid and represent on their own soil. Nike used innovative fabrics to make the jersey 9% lighter then previous kits and the simplified construction eliminates drop tail so each jersey can be precisely tailored for each individual. Only question now is what color will Ovechkin and his teammates bring out on ice for their premiere matchup. Vancouver 2010: Controversy hit when Burton rolled out their uniforms designed specifically for the U.S Snowboarding team. Many people couldn&apos;t get behind the snowboard "jean" pants, as it was considered "disrespectful" towards the Olympic&apos;s and what they stood for. The Olympics is a celebration of nations and achievement and nothing say&apos;s United States like ripped up jeans. A country built around hard work and individual freedom&apos;s, the jean pants were a perfect representation of the nation sporting them. 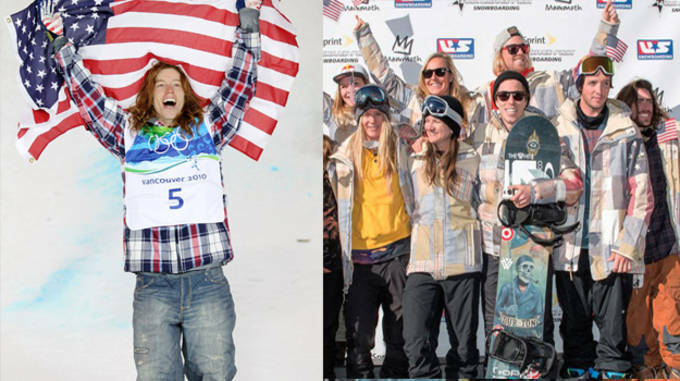 Clearly it paid off, as the American&apos;s racked up 5 total medals, including 2 gold, the most of any country in the snowboard discipline. Sochi 2014: Burton thought outside the box again here. Fueled by American heritage, the jackets are handcrafted made of patchwork quilt, that feature an American flag across the left arm. If Burton&apos;s plan was to stray from the norm, they most certainly succeeded. Burton also made corduroy pants, another first, that will help Americans stand out over the competition. Vancouver 2010: Advertised as 1% faster then any other suit on the market, the Nike Speed Skating Suit was cutting edge four years ago. Many might not think 1% is a lot, and we tend to agree, but in a sport where winner&apos;s are decided by fractions of a second, every advantage helps. The U.S racked up 4 medals in the 2010 games, including 1 gold. Sochi 2014: Under Armour made a priority of revolutionizing speed skating, and after years of research and development, it seems they have done so. 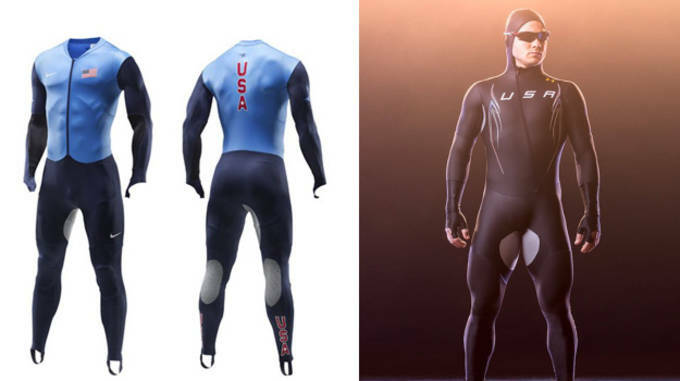 The Mach 39 Speed Skating suit will debut at the 2014 Sochi Olympics and is advertised as "the fastest speed skating suit in the world". Working closely with top aerospace development company Lockheed Martin, the Mach 39 decreases wind resistance and maximizes air flow along the body. Using innovative fabrics and technologies, Under Armour created a sophisticated suit with supreme ventilation and breathability, to give the U.S team a leg up on the competition. 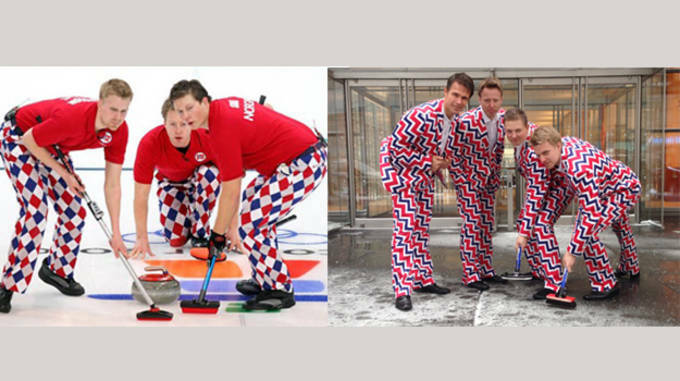 Vancouver 2010: Not sure if you can call anybody who wear&apos;s those checkered pants a "winner" but the 2010 Norway Curling team did bring home the gold, so we can&apos;t hate too hard. Maybe they just distracted the competition so much, who knows. Sochi 2014: They&apos;re back, and somehow, someway, looking worse then they did four years ago. The 2014 Norway Curling team will certainly turn some heads in Sochi. They can only hope to win the gold again, otherwise those suits were all for nothing. Vancouver 2010: Stylish and functional, the 2010 Opening Ceremony outfits for the U.S Olympians were nothing like we&apos;ve seen from other countries. A simplistic bubble jacket, with the US logo and Polo logo on each chest, and done in red, white and blue, the 2010 outfits we&apos;re definitely a winner. Maybe they should of brought these out again considering the U.S is warning people to not wear big logos due to the unsafe conditions in Sochi. 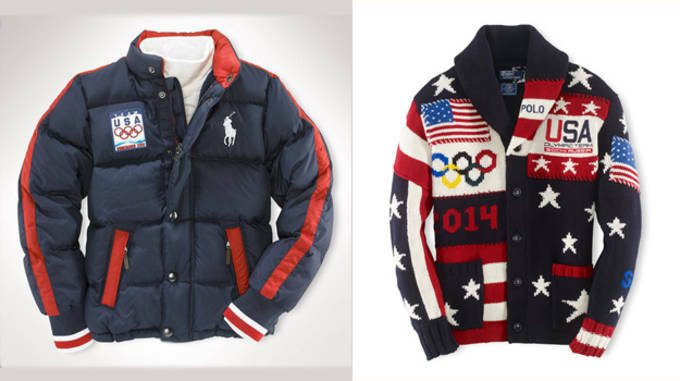 Sochi 2014: Polo, you&apos;re crazy for this one. After the 2010 outfits, it was time to make a major splash and think outside the box. Stars and patterns all over, make this just tough to look at, but maybe when it&apos;ll hit differently when you see every U.S Olympian dressed in this ridiculous patriotic sweater.